PETALING JAYA (Aug 26, 2012): The government has been urged to conduct an immediate audit into the construction of the Second Penang Bridge following last Friday's collapse of the Harbin Yangmingtan Bridge in Heilongjiang province, China. Kampung Tunku assemblyman Lau Weng San said this is because the contractor that constructed the Yangmingtan Bridge - China Communications and Construction Company Ltd (CHEC) - is also the parent company of China Harbour Engineering Company Ltd which has partnered with UEM Builders Sdn Bhd to construct the 24km Second Penang Bridge from Batu Kawan at the peninsula to Batu Maung at Penang Island. China's Xinhua news agency had reported that four lorries fell off the Yangmingtan Bridge, which spans across Songhua River, when a 100m ramp section collapsed, leaving three people dead and five injured. The incident had occurred allegedly due to shoddy construction and overloading despite the bridge being open for only nine months. It had been constructed at a cost of RMB1.88 billion (RM878.23 million). "Another reason for caution is the construction of the 235km long Tianding-Dingxi Highway in Gansu Province, which is also constructed by CCCC-SHB Meng Xing Engineering Co. Ltd, another subsidiary company owned by CCCC. "According to media reports in China, the highway was only opened to the public in January 2011 but it has collapsed twice in less than two years," said Lau. As such, Lau said an independent audit team comprising technical experts must be appointed to review the ongoing construction of the Second Penang Bridge, set to be completed in another two years. This is to ensure that it complies with all safety measures and prevent it from suffering a similar fate. He added that the audit exercise should be done periodically and its report should also be made public. The world is surprised to know on Friday that a section of a multi-million dollar bridge in Harbin, northeast of China that opened in November 2011 has collapsed, leaving three people dead and five injured. According to Xinhua news agency, four lorries fell off the Yangmingtan Bridge in Harbin City, Heilongjiang province, when part of it collapsed. It was reported that shoddy construction and over-loading have been blamed for the incident. What is more alarming to us as Malaysians is that the contractor who constructed the Yangmintan Bridge is China Communications and Construction Company Ltd (CCCC, 中国交通建设股份有限公司), whose subsidiary China Harbour Engineering Company Ltd (CHEC, 中国港湾工程有限责任公司), is partnering with UEM Builders Sdn Bhd, a subsidiary of the UEM Group Malaysia (UEM) to construct the Penang Second Bridge from Batu Kawan at the Peninsula to Batu Maung at Penang Island. The 24km long bridge is expected to complete and open to public in November 2013 despite delayed for about ten months. The award-winning 15km long Yangmingtan Bridge spans across Songhua river and was finished nine months ago and cost RMB1.88 billion (RM878.23 million), Xinhua said. 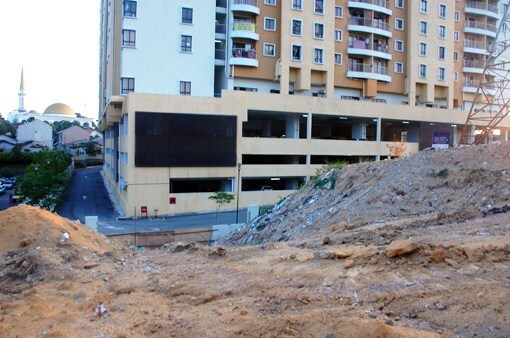 A 100m (328ft) ramp section collapsed, causing the lorries to plummet to the ground. Yangmingtan Bridge was built in 14-month and it takes no more than one year for it to collapse. Another reason for cautious is the construction of 235km long Tianshui-Dingxi Highway in Gansu Province, which is also constructed by CCCC-SHB Meng Xing Engineering Co. Ltd, a subsidiary company owned by CCCC. According to media reports in China, the RMB8.7 billion highway was only opened to public in January 2011 but it has already collapsed twice in less than two years. Since the construction of the Penang Second Bridge is progressing and there are another 14 months to complete the bridge, and CHEC is one of the contractors of the bridge, the Federal Government should immediately appoint an independent audit team with technical experts to audit and review the construction of the bridge to ensure that it complies with all safety measures. The audit exercise should be a periodical exercise and its report should be published to ensure that the construction of the bridge will always comply with all safety measures to avoid any similar happenings like in the case of Yangmingtan Bridge. There are more than 600,000 eligible voters who have not registered in Selangor, and about 3.3 million unregistered eligible voters nationwide. 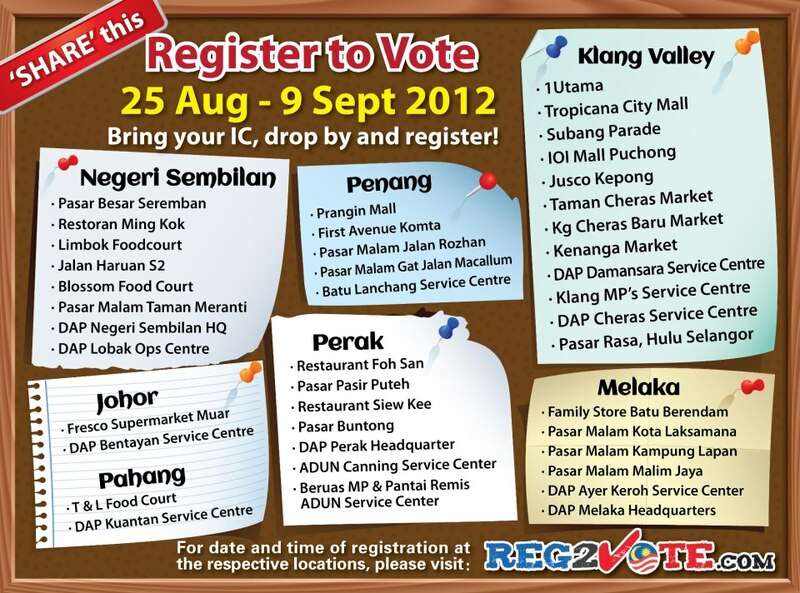 In order to vote if the coming election is held in 2013, you must register as a voter before 15 September. 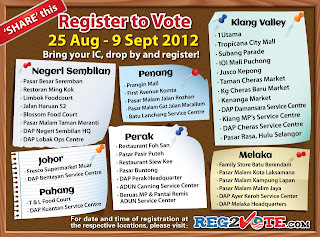 There will be a large scale voter registration campaign at nationwide this weekend to encourage more eligible Malaysians to register as a new voter. 2) Community Corner, 1st Floor, Oval (New Wing), 1Utama Shopping Centre, 1, Lebuh Bandar Utama, Bandar Utama City Centre, Bandar Utama, 47800 Petaling Jaya, Selangor Darul Ehsan. Mengikut Suruhanjaya Pilihanraya Malaysia (SPR), terdapat hampir 3.3 juta rakyat Malaysia, daripada jumlah itu 600,000 rakyat Selangor di mana mencatatkan jumlah tertinggi, yang belum mendaftar sebagai pengundi. Minggu ini terdapat kempen pendaftaran pemilih baru di beberapa lokasi. 2) Community Corner, Tingkat 1 (Oval), Bangunan Baru Pusat Beli-belah 1Utama, 1, Lebuh Bandar Utama, Bandar Utama City Centre, Bandar Utama, 47800 Petaling Jaya, Selangor Darul Ehsan. 2) 八打灵万达广场（新翼Oval）一楼社区角落, 1, Lebuh Bandar Utama, Bandar Utama City Centre, Bandar Utama, 47800 Petaling Jaya, Selangor Darul Ehsan. Pernahkah anda dengar mengenai Seksyen 114a yang merupakan pindaan terbaru terhadap Akta Keterangan 1950? Pindaan terbaru ini meletakkan beban membuktikan kesalahan pada pihak yang dituduh dan bukannya pihak yang menuduh. 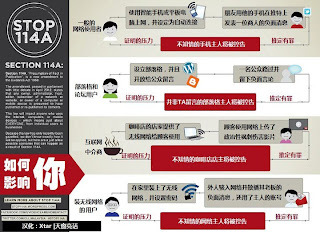 Sebagai contoh, jika seseorang menyamar sebagai anda dan melakukan kesalahan di internet, andalah yang bertanggungjawab untuk membuktikan bahawa anda tidak bersalah. Undang-undang yang baru ini jelas bercanggah dengan prinsip asas keadilan yang menyatakan bahawa seseorang itu tidak bersalah selagi tidak dibuktikan kesalahannya. Anda sudah pun dianggap bersalah sekarang! 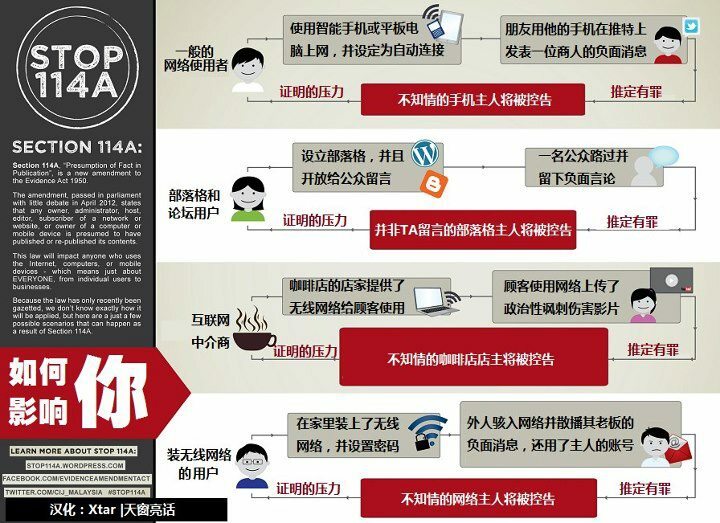 Jika anda memiliki akaun Facebook, Twitter, blog atau forum, anda akan dipertanggungjawabkan atas setiap isi kandungan yang terdapat di laman-laman tersebut termasuk komen dan artikel yang ditulis oleh pihak lain. Selain itu, pembekal perkhidmatan wifi juga akan dikenakan tindakan jika ada pihak yang menyalahgunakan perkhidmatan tersebut. Lebih malang lagi, jika rangkaian wifi rumah anda dicuri atau dihacked, anda juga bertanggungjawab atas segala yang dilakukan oleh pencuri terbabit. Jika ada pihak yang mencipta akaun Facebook, Twitter atau emel menggunakan nama anda, Seksyen 114a yang baru ini menganggap bahawa andalah pemilik sebenar akaun terbabit. Akta yang baru dipinda ini sebenarnya bertujuan untuk menakut-nakutkan rakyat daripada mengemukakan pendapat mereka di internet. Hal ini juga mengancam kebebasan berinternet di negara kita. Sekatan kebebasan dan hak asasi manusia! Kebebasan bersuara serta kebolehan menyatakan pendapat merupakan tunjang sebuah demokrasi yang berfungsi dan berinovasi. Seksyen 114a Akta Keterangan ini jelas bercanggah dengan konsep hak asasi manusia dan aspirasi ekonomi negara berasaskan ilmu. Jika anda fikir pindaan terbaru terhadap akta ini perlu dihapuskan, marilah bersama kita mendesak Kerajaan supaya menarik semula pindaan tersebut. 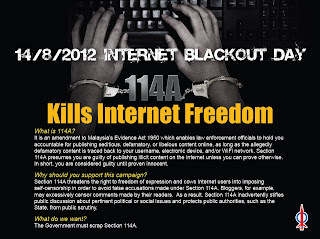 Sertai Hari Blackout Internet pada Selasa ini 14 Ogos 2012! 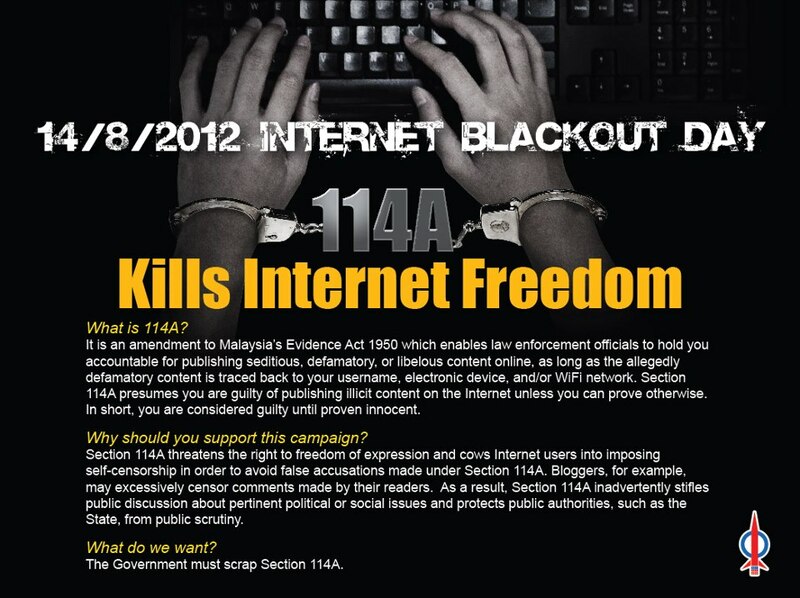 The DAP would like to fully support the campaign launched by The Centre for Journalism (CIJ) Malaysia to hold Malaysia’s first ever internet blackout day to protest against the introduction of the Evidence (Amendment) (No. 2) Act 2012. On May 9 2012, the Evidence (Amendment) (No. 2) Act 2012 was passed in the Dewan Negara and gazette by the Law Minister last month. 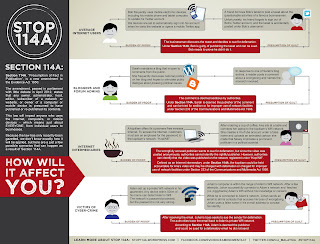 We deem the amendment as a blatant intrusion upon the fundamental human rights of Malaysia’s internet users and thus urge the government to repeal this amendment immediately. 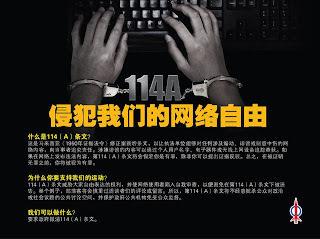 Section 114(A) severely infringes upon the freedom of online expression and undermines the civil liberties of Malaysia’s internet users. 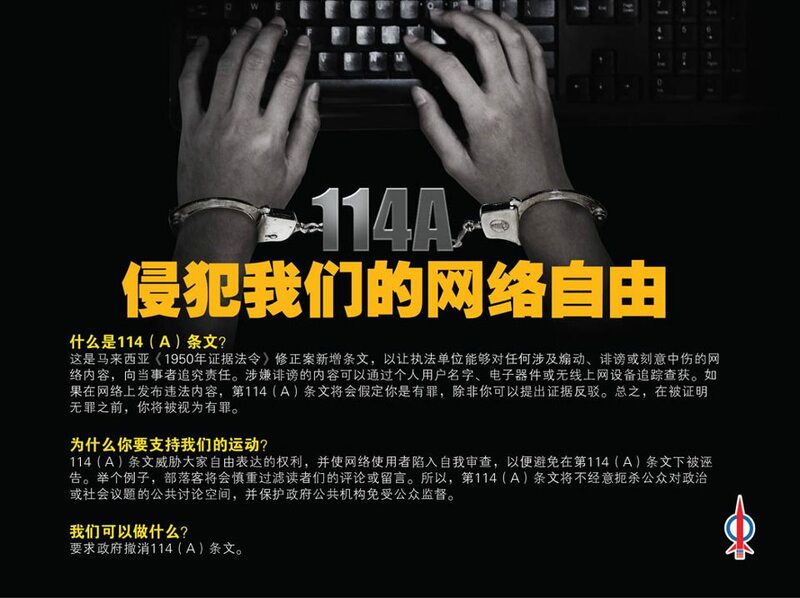 We believe the amendment may be construed as an attempt by the powers that be to censor and police what can and cannot be said on the Internet. Such regulation passed with an ulterior motive in mind, only serves to undermine the purpose of the internet to disseminate information and facilitate an environment of open discussion. It is plain for all to see that the act just makes it easier for the prosecution to find scapegoats when dealing with cybercrimes instead of finding the real perpetrators. Under this act, identity thieves, con-artists and hackers will remain at large so long as they ply their trade using an internet connection that is attached to somebody else’s name. Furthermore, the following sentence “is presumed to have published … unless the contrary is proved” found in Section 114(A) places the burden of proof on the defendant. This runs counter to the principle of law where the defendant is innocent until proven guilty. 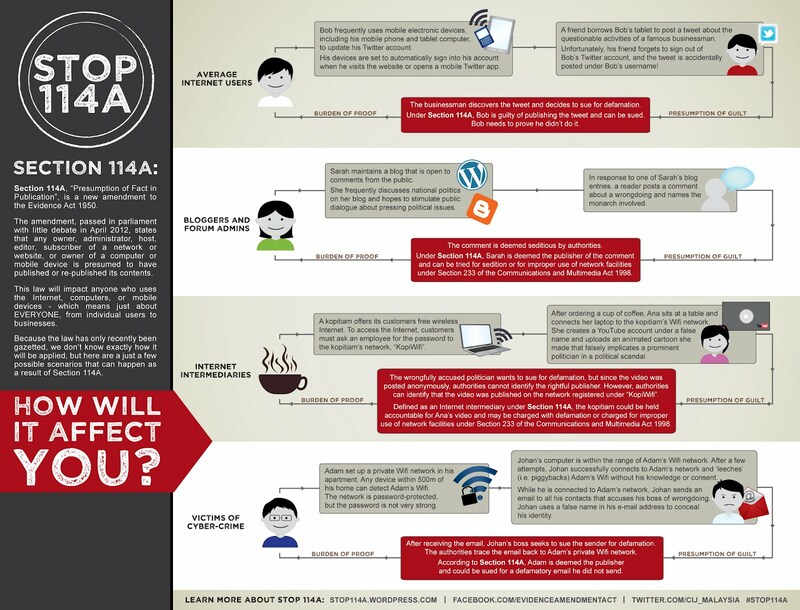 The act also openly discourages people from sharing their internet be it access to their internet connections or to the websites they operate. Hotels, restaurants and even cyber cafes will no longer be able to offer internet access to its patrons for fear of falling afoul of the law. This clearly runs contrary to the objective of making Malaysia one of the most “connected” countries in the world. 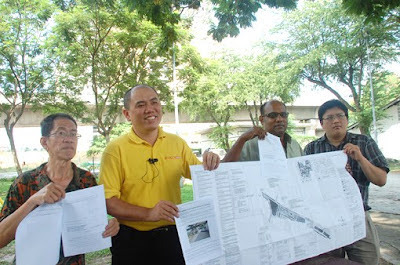 Kampung Tunku state assemblyman Lau Weng San (second from left) and MBPJ councillor Jeyaseelen Anthony (second from right) showing reporters and residents the court order and condominium project plan approved in 2005 by MBPJ. The approved plan was to use Jalan 21/27 as exit road. A new access road currently under construction from Paramount View condominium (background) in Section 22, Petaling Jaya will link to Jalan 21/27 SEA Park. The Paramount View condominium in Section 22 (background) and Jalan 21/27 (foreground). A new access road is being built to link the two. The access road being built will go under the LRT track. A new access road currently under construction from Paramount View condominium in Section 22, Petaling Jaya to link to Jalan 21/27 SEA Park is part of the condominium project plan approved in 2005 by Petaling Jaya City Council (MBPJ) and the developer is complying with a court order which ordered that the approved plan be followed. The approved plan called for Jalan 21/27 to be used as exit road and Lorong 22/44D as entrance and exit road. Lorong 22/44D has been built but residents staying along Jalan 21/27 were against the construction of the access road to Jalan 21/27 as they worried it will bring traffic congestion to the area. These facts were make known to reporters and nearby residents who were present at the press conference called by Kampung Tunku state assemblyman Lau Weng San at a field near the condo recently. “The access road will only allow one-way traffic from the condo to exit into Jalan 21/27,” said Lau who called for the press conference in response to a report in “The Star” dated July 26, 2012 which reported that residents in Section 21 SEA Park opposed the access road being built. In the same report Petaling Jaya Utara (PJU) Community Service Centre chairman Dato’ Dr Wong Sai Hou called for MBPJ to issue a stop-work order and resolve the matter. Lau showed copies of the court order and the condominium project plan which was tabled and approved by MBPJ councillors at its full board meeting on August 30, 2005 to members of the media present. The approved plan called for the use of Lorong 22/44D as entrance and exit road and Jalan 21/27 as exit road. Lorong 22/44D had been built but residents staying along Jalan 21/27 were against the exit road to Jalan 21/27 currently under construction as they worried it will bring traffic congestion to the area. Lau said that the access road has to be built as per the court order. However he will hold discussion with the Joint Management Body (JMB) to resolve the matter. Also present at the press conference was MBPJ councillor zone 19 Jeyaseelen Anthony. “We have to abide by the court order. The developer is building the access road to link to Jalan 21/27 as per a court order,” said Jeyaseelen. MBPJ had extended twice the temporary Certificate of Fitness (CF) issued to the condo which was occupied since November 2010. The developer is now building the access road to link to Jalan 21/27 SEA Park to comply with the court order and to obtain full CF for the condominium from MBPJ upon completion of the access road. 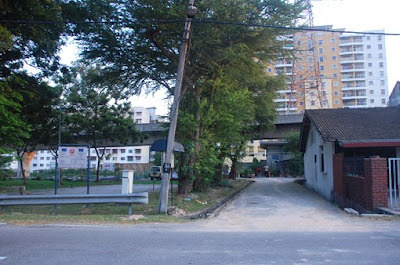 The developer of Paramount View condominium had filed for a judicial review against stop-work orders issued by MBPJ on the construction of access roads following objections by affected residents and this had caused a delay in the issuance of the CF for the 233-unit condominium which was fully completed in May 2009. 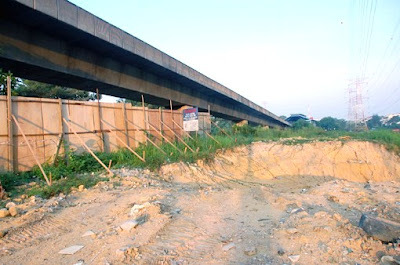 In the same year, it obtained a court order from Shah Alam High Court that the original MBPJ 2005 approved plan be followed, which is to use Lorong 22/44D as entrance and exit road and Jalan 21/27 as exit road, and all stop-work orders issued by MBPJ be cancelled. FOR decades, the SS1 community in Kampung Tunku lived without much worry about the peace and safety of their neighbourhood. They could leave their gates unlocked and walk the streets without fear, although there were cases of petty thefts such as stolen shoes, but they were unfazed until recently. Crime has become more daring and rampant in the neighbourhood, said the residents, with the latest incident occurring in Jalan SS1/17 just last week. Lab technologist R. Saraswathi said her house was robbed by two men at 3.30pm, when her elderly mother and a 50-year-old sister were at home. "A robber jumped into our compound by first getting into our neighbour's compound as their front gate was unlocked. He then managed to open our automatic gate. The two robbers then bent the grilles on our gate, crawled under it and entered the house. "They tied my 75-year-old mother up, bundled my sister aside and threatened them with a dagger. They ransacked the house and it was all over in 15-minutes. They escaped with our laptops, jewellery and money, all worth RM20,000," said the 55-year-old, adding that no one was hurt in the incident. Since then, Saraswathi said they have beefed up security in their home by installing more grilles. John Fernandez was robbed while he was about to drive into his porch last year. The 82-year-old said the robbers snatched his gold chain while his wife was held at knife point. Fernandez said a visiting friend was also not spared as he was robbed twice of his gold chains, the second incident being six months ago. "We are living in fear and we hope for more police presence here," said Fernandez, who moved into the neighbourhood in 1967. There have also been cases of thieves using new "tactics" to steal belongings from homes. Lum Weng Wah said thieves had jumped into his compound and dismantled a bamboo pole from the clothing line. Attaching a hook from a clothes hanger to the bamboo pole, the thieves then used it to fish out belongings through a window. The advertising agency owner lost his laptop which was placed on a table near the window. He discovered the loss upon seeing the "innovation" the thieves had left behind. Residents' representative, Johnny Quek, said they were worried about the rise in crime in their area, especially with the majority of victims being senior citizens and the robbers striking in broad daylight. "Our children are out at work during the day, leaving us, the elderly and grandchildren at home. "We haven't had a good night's sleep as we worry that we will fall victim to these criminals. "We hope for a bigger police presence in the form of Ops Payung here," said the 69-year-old. 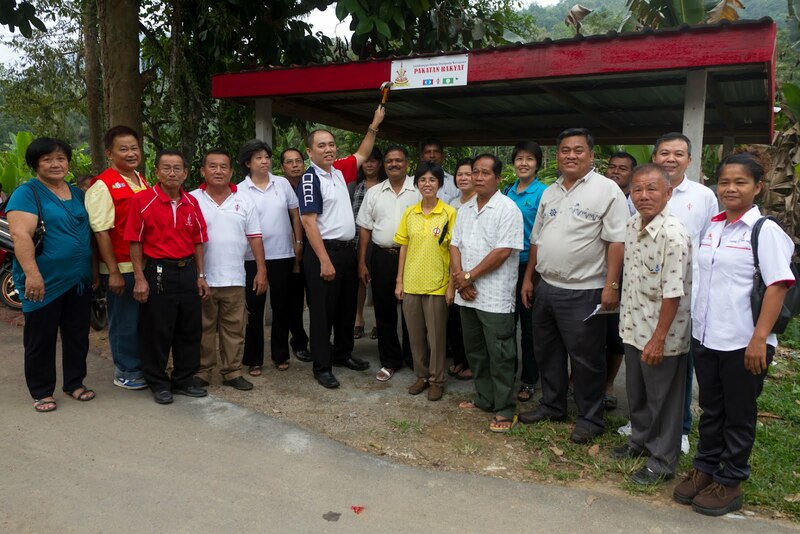 The residents have brought their concerns to the attention of Kampung Tunku assemblyman Lau Weng San, who has said he will meet with the Sungai Way police station officer-in-charge to discuss the matter. Lau said he would also organise a crime prevention dialogue with the residents and look into the possibility of a voluntary patrol unit as well as a gated and guarded community. "Kampung Tunku was not included in the 150 crime hotspots, but it looks like crime there has gone from bad to worse. "I will also write to the Federal government to request for more men to look after the safety of residents there. "The Sungai Way police station has some 200 officers and they have to cover areas like SS1, SS3, SS5, Desa Mentari and Sunway, so they are spread very thin," he said. 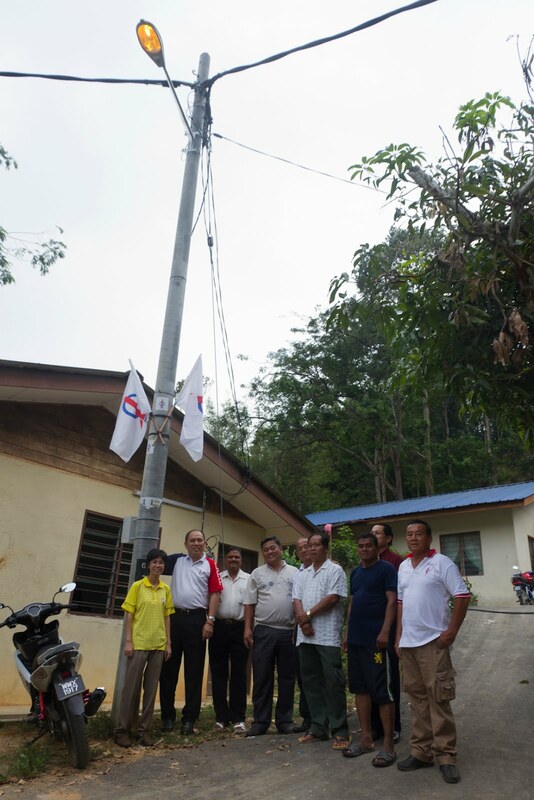 Lau said he would work to light up the back lanes of the neighbourhood and get the Petaling Jaya City Council enforcement department to monitor illegal activities, such as alcohol consumption, on the playground. RESIDENTS of low-cost units in Selangor can enjoy a 25% discount on assessment tax effective for the period of July to December 2012, said state executive councillor for housing, building management and squatters Iskandar Abdul Samad. The offer is only for owners occupying their units and for next-of-kin of owners who have passed away provided that they are up-to-date in their assessment payment. Owners and residents must fill out a special form available at the state’s official website and local council offices. The form will be available until Sept 15. Iskandar said the completed forms must be endorsed by the Joint Management Committee, Management Corporation, Commissioner of Building at the local authority, or local councillors. The discount is effective upon submission of the form. “Those who have paid the assessment for the second half of the year can claim the discount for the January to June 2013 period. “At present, the residents are paying RM90 to RM120 in taxes, depending on the area. We are offering the discounts following requests from the low-cost flats residents, who also have to pay maintenance fee. “They feel it is unfair for them to pay so much. “The discounts amount to about RM20mil,” he said. There are 194,000 low-cost units in the state and the areas with the most units are under the Klang, Kajang, Subang Jaya, Petaling Jaya and Shah Alam councils. My predecessor, Datuk Dr. Wong Sai Hou must be really busy nowadays going around Sea Park Petaling Jaya, putting blames on Petaling Jaya City Council (MBPJ) and me for allowing the developer of Paramount View Condominium (PVC), Sri Aman Development Sdn. Bhd. to build an access road linking PVC with Jalan 21/27, Sea Park, Petaling Jaya. He claimed that MBPJ is "not transparent in the manner they go about approving projects". He further said that "all views must be taken into account before approvals are given to construct new roads". He also said that "projects must not be pushed through as it affects the people's quality of life." I find his statement reported in a newspaper owned by his political party is rather misleading and frustrating, as if he has got no role to play in this. During BN's time in 2005, MBPJ approved a layout plan with the reference number KJB-P/PJ/2005/20-1 which shows that there shall be an access from PVC to Jalan 21/27. The layout plan was approved on 30th August 2005 by MBPJ full council meeting. It was also shown another access from PVC at Jalan 22/44. The developer started promoting the project. Interested buyers and investors bought and signed the Sales and Purchase Agreement (SPA) based on this layout plan. The developer tabled amendments in 2007 and subsequently obtained their approvals from MBPJ. Among the changes are to allow only one access road for PVC, which is to be built at Jalan SS 1/25, instead of two access roads at Jalan 21/27 and Jalan 22/44. In 2008, there was a change in Selangor state government and subsequently all the 12 local councils under Selangor state government also changed hand to Pakatan Rakyat. Before 2008, BN Selangor had a practice, that the local assemblyman (ADUN) will automatically be appointed as councillor in his/her local council. As for Kampung Tunku, the then ADUN was none other Dato' Dr Wong Sai Hou himself. Being the then MCA PJU Division Chairman, Wong Sai Hou was also the party whip for MCA councillors in MBPJ. He was also a member of MBPJ One-Stop Centre (OSC). OSC is a special committee to evaluate and approve authority submissions for all developments in Petaling Jaya. In 2009, the council had a number of unhappy encounters with the developer. The residents surrounding PVC also shared the same predicarement. Two stop-work orders file issued against the developer in 2009. The developer challenged MBPJ's decision via a judicial review filed at Shah Alam High Court. Shah Alam High Court made a ruling via MT5 - 13 - 13 - 2009, that the two stop-work orders must be withdrawn immediately. The developer was allowed to use Jalan SS 1/25 as temporary access during construction. Once construction is completed, the developer has to commence the construction of permanent access road according to the the 2005 layout which I believe is the layout that was presented to buyers. The construction of the first permanent access road at Jalan 22/44 was completed last year despite several protests by local residents. The construction of the second access linking PVC to Jalan 21/27 is about to start. It is also stated in the planning approval that the construction of the two access roads form part of the conditions to be fulfilled in order to comply with the issuance of Certificate of Fitness and Occupany (CFO). That means as of today, PVC has yet obtained its CFO and it is still sitting on it temporary CFO. Therefore, it is most shocking and even frustrating to know that Wong Sai Hou is now turning his gun against MBPJ when he knows very clear that the construction of the access road linking PVC to Jalan 21/27 was already approved by the city council during his time. Although it is widely understood that such access road is not suitable and will increase traffic volume along Jalan 21/27 and Jalan 21/35, the court order shall be complied with in full to avoid "contempt of court". Nevertheless, I maintain the stand that the decision of whether to use the access road or not is in the hand of the Joint Management Body (JMB) or PVC, which consist of buyers and residents of the condominium mainly. I believe all parties concerned and discuss and find a win-win solution to resolve this matter.